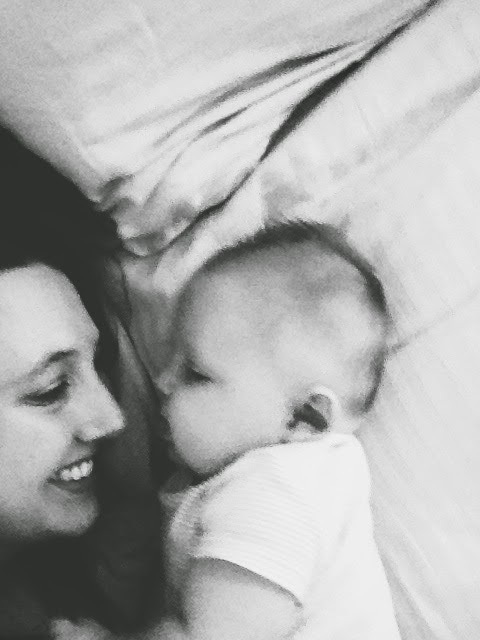 I've chatted about a lot of momma topics during these past 15 months of Luke being around. But one topic that I haven't really chatted about is nursing. 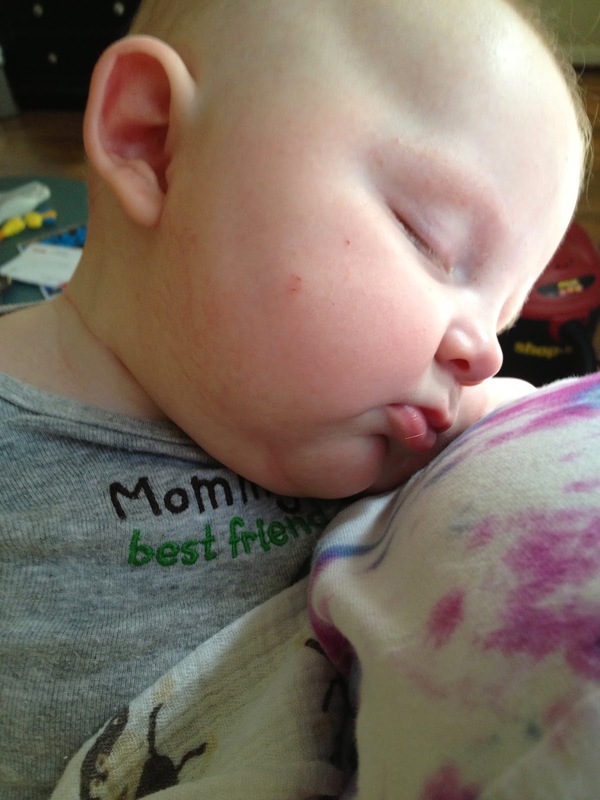 At just shy of 15 months, Luke decided that he was done with nursing. We've only been doing a morning feeding for about 3 month now, so I knew it was coming soon. For the past year plus, Josh has brought him into the room to me in the morning, and we start the day in the bed. He would get in his morning milk; I would have a few minutes to sit with him and wake up a bit. These past few months, it's been very sweet. But, just about a week ago, he decided that he wasn't interested. I offered. He wiggled and tried to pull away. I offered again and then he actually got a little upset. So, I set him down on the floor, and that was that. I thought we were going to have to wean him, and it would perhaps be a struggle (that kid loves to eat!) But, in the end, he just made up his little mind. For me, it was a bit sad because it meant a season with him was leaving, but at the same time, it was a relief. Now, after experiencing the full circle of journey of nursing Luke, I wanted to share a few thoughts about it. Basically, in a nutshell, I loved and not-really loved nursing. I loved many of those moments of bonding with Luke (especially when he was in the NICU, it was the only time I could really hold him) and having something that was special between us. I loved saving money on formula. I loved that I was helping him stay happy (and fat!). I know that a lot of women struggle with breastfeeding, so I was very thankful that it worked for us. I didn't love the pain at the beginning. It hurt. A lot. Luke is tongue-tied, so his latch wasn't super great. Plus, it meant that he spent a lot of time nursing. In the first few months, his nursing session usually lasted 30-45 minutes. For a few months, I spent close to 40 hours a week nursing him. I didn't love pumping (does anyone?). Since I didn't have a fancy pump (something that I'm definitely interested in investing in next time! ), it was super tedious to pump. So, that meant that getting out was even harder because it was hard to pump enough milk for me to get away. I wouldn't stress about the no-drinking-milk thing. My 18 mo and several other babies/toddlers I know (healthy, reasonably-sized, thriving) get buy just fine on yogurt and cheese. Glad you had such a good time of it overall! My girl decided she was done the morning of her 1st birthday. Happy and sad, I hear you! I started slow with whole milk. First I didn't half cows milk/half frozen breast milk or formula then slowly cut back. He still resisted a bit so I added 1T of apple juice (I read that tip online, makes it sweeter) then just cut that out. But o really wouldn't worry, plenty of babes Go without! At 9 months Maggie decided she was totally done nursing. I was surprised by how sad I was about it (mostly b/c I had my mind made up I was nursing for 1 year) and how she was definitely not doing it anymore. I tried/fought with her about it for at least a week, but then I decided she must really not want it so I only pumped for the next few weeks and eventually was done. I still miss those times together.